Today I thought it’d be fun to share a few of my favorite classic movies! These are movies that I never get tired of and have watched dozens and dozens of times. (I shouldn’t admit it but, yes, I can even quote the lines.) Even this past weekend when I was with my family, we aughed as we quoted the lines, and even sang a few of our favorite songs! Tim Conway and Don Knotts are a hoot in this movie! They are detectives who are called in to investigate the murder of Lord and Lady Morley! After meeting the staff (who all seem to have issues of their own) they realize that there’s a large problem when they start dying off and their bodies disappear. Will Inspector Winship and Dr. Tart solve the Morley murder? 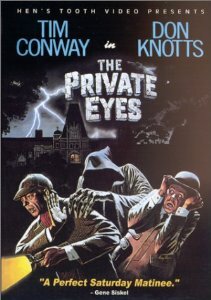 The Private Eyes is the perfect movie to watch when you need a good laugh! Only after knowing him a few hours, Milly marries Adam Pontipee. He doesn’t tell her he has six mountain men brothers. Milly tries to teach them manners and make gentleman out of the bunch. The brothers not only start a fight at a local barn raising (and a few other places), but they also find sweethearts of their own! 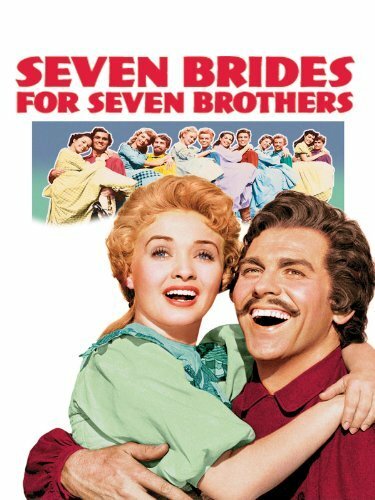 Seven Brides for Seven Brothers has dancing that will make you want to jump out of your seat and songs that will make you want to sing along (Bless Her Beautiful Hide, Sobbin Women and more). This is a chick-flick but it’s one that might also keep the menfolk entertained! Judy Garland is spectacular in this movie. The four Smith daughters anxiously await the opening of the St. Louis Fair, but their lives are turned upside down when their father announces that he has received a better paying job in New York. Will the boy next door that Esther’s fallen in love with ever notice her? Will Rose find the beau of her dreams? 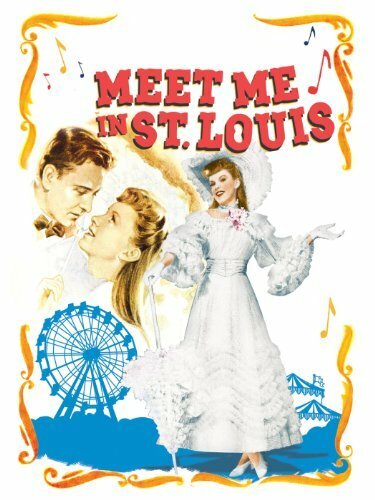 The songs in Meet Me In St. Louis help tell the storyline perfectly, and they’ll have you singing them for years to come! My sisters and I used to watch this wonderful movie when we were little girls and we practically have this movie memorized! Anne Shirley is an orphan who goes to live with Marilla and Matthew Cuthbert at Prince Edward Island. Although it’s rocky when she first arrives, they soon learn to love her. The talkative little girl who is teased for her red hair quickly friends a bosom friend in Diana Berry, holds a grudge against Gilbert Blythe for calling her “Carrots,” and falls into all kinds of quandaries and conundrums as she turns into a beautiful young lady. Whether you’re a female that’s 14 or 44 Anne of Green Gables is a must see. You’ll quickly fall in love with all of the characters as you’re whisked away into Anne’s make-believe world! You’ll also want to find out what happens when Anne grows up in Anne of Green Gables – The Sequel. Whether you’re looking for a classic movie to add to your collection or one to rent over the weekend, you’ll definitely want to check these out! Disclosure – The links in this post are my affiliate links.